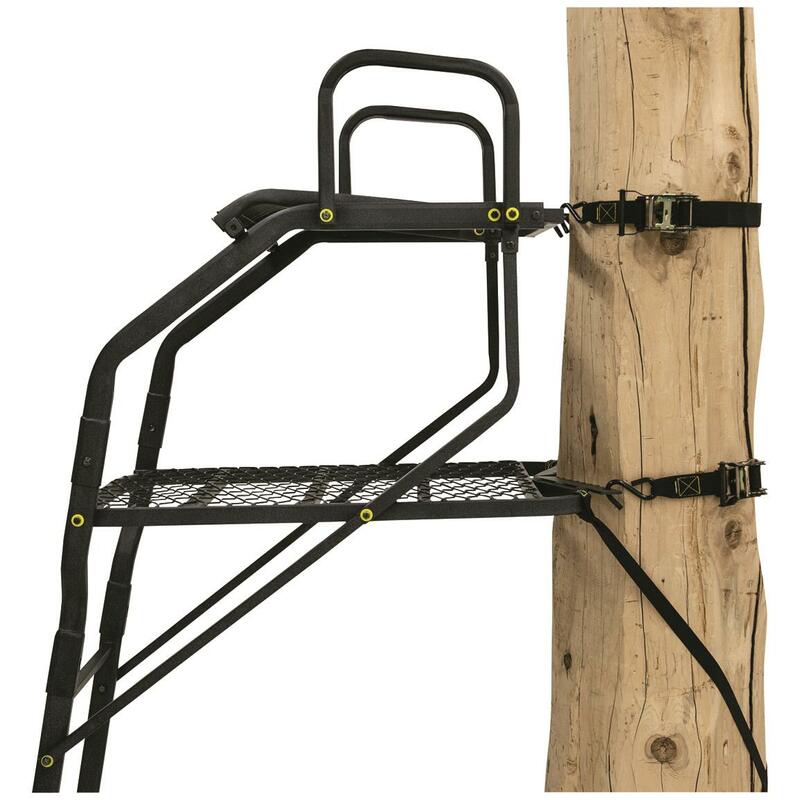 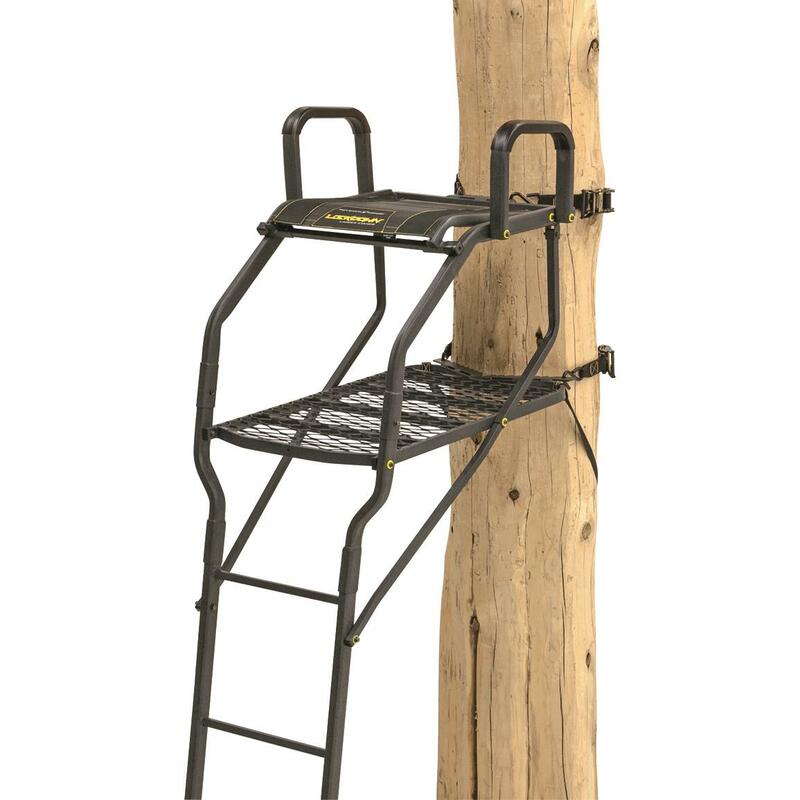 Designed specifically for bow hunting, the Rivers Edge Lockdown Bow Pro Ladder Tree Stand features a sleek profile that sits tight to your tree and a TearTuffTM mesh seat that flips out of the way for standing shots. 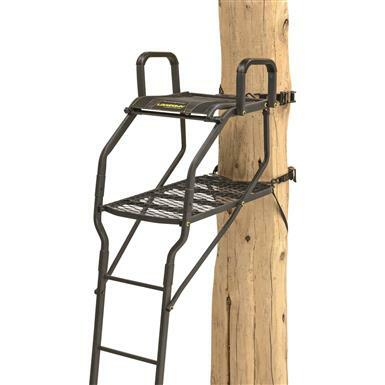 Plus, you'll always have a rock-solid, stable platform for hunting thanks to its Gridlock Attachment System that secures your stand tightly to almost any tree. 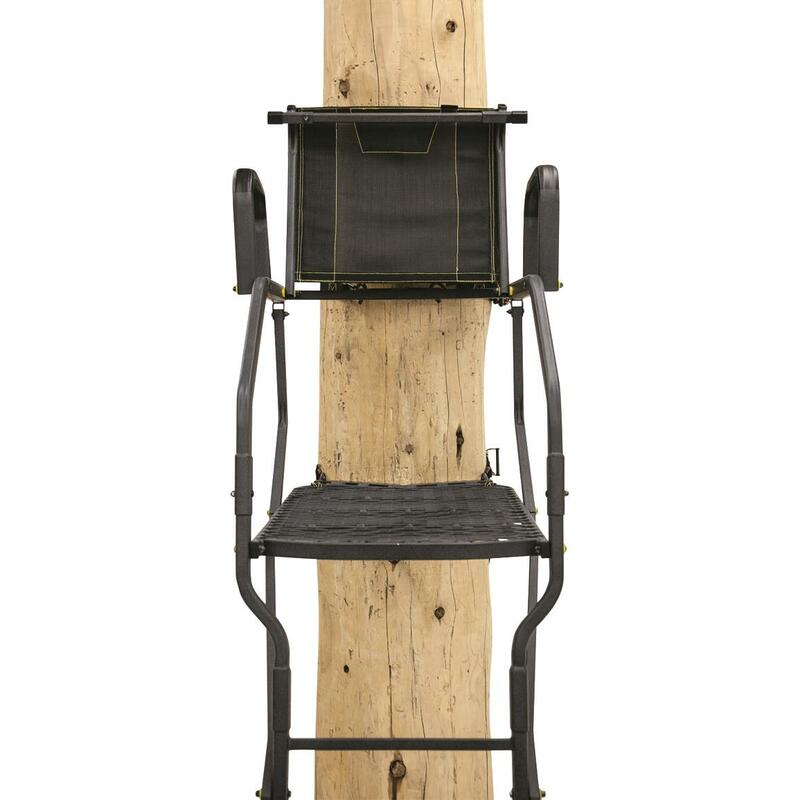 Platform Dimensions: 20.5" x 30.3"
Seat Dimensions: 20" x 16.7"